Are deforestation-free commodities too good to be true? Bonn - It has been nearly three years since countries entered into the Paris Agreement. During that time, as was made abundantly clear during the most recent Bonn Climate Change Conference, climate negotiations have descended into complexity and uncertainty on many issues, buoyed by the U.S.’s lack of political momentum and, across many countries, entrenched positioning and unwillingness to compromise. The Conference comprised the 48th sessions of the UN Climate Convention Subsidiary Body for Implementation (SBI 48) and Subsidiary Body for Scientific and Technological Advice (SBSTA 48) as well as the fifth part of the first session of the Ad Hoc Working Group on the Paris Agreement (APA 1-5). Countries had the main mandate of making progress on the Paris Agreement Rule Book, a guide for monitoring and implementing countries’ nationally determined contributions (NDCs) that is meant to be completed and adopted at COP 24 in Katowice, Poland this December. Deadlocks on issues related to finance, loss and damage, and markets are jeopardizing the Rule Book’s completion, and media outlets are reporting that this particular Conference resulted in a stalemate. Demand for bioenergy is growing, and myths about its carbon neutrality and environmental and social benefits are being debunked, but accounting measures need to be put in place. Thursday 3 May 2018, 16:45-18:15, Bonn, Germany. The main REDD+ issue addressed – an ongoing one – was whether the UNFCC should continue a series of annual informal meetings about coordinating finance for the carbon emissions reductions program. There have been proposals for these talks to continue up to 2029. After some time, and through discussions occurring behind the scenes, the Parties eventually agreed that the agenda item would be closed down and finalized. This now closes more than a decade of REDD+ negotiations at the UNFCCC. This was the final outstanding agenda item related to REDD+ framework – its own ‘rule book’ – since it was developed in 2013’s COP 19 in Warsaw. Parties will now fully focus on REDD+ implementation and interaction with mechanisms such as the Green Climate Fund results-based payments and Article 6. With the REDD+ negotiations reaching their conclusion, the High Level Champion of COP 24’s Polish presidency scheduled a meeting on short notice toward the end of the conference. Parties anxiously gathered around a meeting room, uncertain of what was about to be announced. The meeting was short, with the Champion seeking to hear views of the parties on ‘what next for forests’ now that the REDD+ agenda item had been finalized. Several parties expressed that they would like to see UNFCC take a more holistic and broad approach taken to forests and land use, which could be interpreted as more actions spread across the globe rather than concentrated in developing countries. It was uncertain where this discussion will lead, but we can expect that the Champion will emphasize forests in the Global Climate Action Agenda that will occur during this year’s COP. In the corridors, rumors circulated that the Katowice COP will be putting a lot of emphasis on land use and forests, which seems to be the Polish Presidency’s preference. In the final hours of the conference, a leaked proposal from an unknown country began making its way around emails. There are speculations, but no one knows its source for sure. We will need to wait for either Bangkok or COP 24 to find out if it will be proposed as a new item for the next meeting of subsidiary bodies. Possible coverage includes actions taken in forests and other terrestrial and coastal ecosystems as referred to in Article 4, paragraph 1(d) of the Convention. Promotion for transfer of sustainable management techniques with mitigation and adaptation benefits, to be applicable at national and local level by governmental and private stakeholders. Focus on approaches to sustainable forest management and wetlands conservation in order to comply to the goal of the PA as indicated in Article 2 and achieving a balance between anthropogenic emissions by sources and removals by sinks of greenhouse gases in the second half of this century in accordance to Article 4.1 of the PA. Article 6 of the Paris Agreement establishes two important components of the international climate change architecture: the international transferrable mitigation outcomes (ITMOs) (Article 6.2) and the ‘mechanism’, which helps mitigate greenhouse gas emissions and support sustainable development (Article 6.4). ITMOs refer to carbon emission reductions traded between countries; the mechanism will serve to channel climate finance to activities, the scope of which remains under negotiation. The discussions on both these articles hardly touched on actual substance. The entire two weeks involved parties identifying omissions, misinterpretations and misrepresentations in the informal documents seeking to outline Party positions, the SBSTA Chair produced at the request of the Parties after COP 23. It was clear that some parties had no desire to negotiate, making the process slightly excruciating as discussions led to no real outcome apart from everyone establishing their mutual dissatisfaction with the documents, yet continuing discussions using them as a basis. One issue of significance, however, is the inclusion of a ‘Principles’ section in the informal documents related to Article 6.2 and 6.4, which could go a long way in giving meaning to the Paris Agreement’s Preamble, which includes human rights, by operationalizing high standards on the same issues. Putting robust Principles in place for international market–based carbon trading mechanisms would seem prudent to safeguard against environmental and social harms, but many countries would prefer not to see this section come to light and instead keep human rights provisions relegated to the preambular text alone. By the end of the two weeks, the Co-Chairs had proposed three steps to move the process forward, including a process for new submissions, a revised informal document to work on at the Bangkok Climate Change Conference in early September, and also a roundtable in Bangkok. But, the parties couldn’t agree on any of these proposals either. After two long days of discussing next steps, parties agreed to take a more coordinated approach when they reconvene in Bangkok, linking discussions with other streams of the negotiations, such as transparency and nationally determined contributions. Article 6 of the Paris Agreement also includes a provision for non-market approaches to achieving NDCs and synergistic, joint mitigation adaptation efforts. For some time, this topic was specifically applied to REDD+ and forests, but the Paris Agreement text broadens it out to all climate actions. As such, this provision is much less controversial than other elements of Article 6, and tends to move faster – a matter of its own that makes some parties anxious, as all items are expected to proceed in a balanced manner. That aside, countries are putting measures in place to undertake a work program exploring non-market approaches for climate action – things like finance for policy reform and grant support for climate action. Importantly, many parties have made it clear that this section of the Paris Agreement framework does not involve ITMOs. The text that parties will continue to work on in Bangkok and until Katowice includes a number of interesting issues relevant to forests and land use. The Principles section, for example, promotes environmental integrity and protecting human rights, and the work program includes a long list of possible activities, including research on successes, lessons, private sector engagement, barriers, and development of guidance and tools. Understanding the role of local communities is becoming a roadblock for this important new Platform launched at COP 23 last year. The IPLC Platform is intended to increase participation of indigenous peoples and local communities in climate negotiations, factoring in more traditional and customary knowledge. During talks on the platform in Bonn, some countries said they do not recognize indigenous peoples in any formal sense, or their country has no indigenous peoples, so progress hinges on local communities. The Convention on Biological Diversity expands the term into ‘local communities embodying traditional livelihoods’, but parties here were not able to agree on a phrasing of their own. In the closing plenary, Norway made a point of saying that indigenous peoples are not a threat to territorial integrity. Due to these standstills as well as undetermined financial support for the Platform, these discussions had no outcomes. Many countries expressed their disappointment and recognized this as an important matter on which to ‘step up their efforts’ at COP 24. What to do about food security? 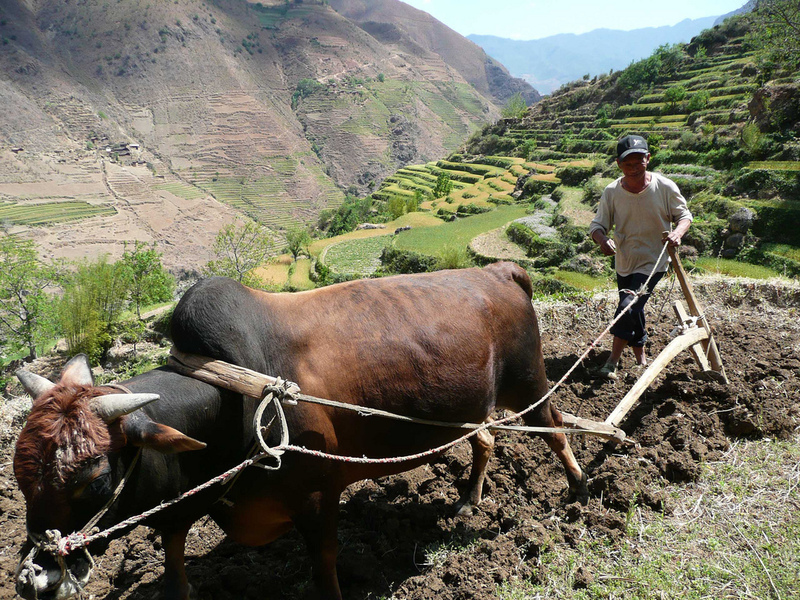 How do we ensure inclusion of smallholder farmers and broader civil society going forward? These are some of the questions facing the Koronovia Joint Work on Agriculture, a ‘breakthrough’ outcome from COP 23’s agriculture negotiations. Bonn was the first time parties have reconvened since then, and they were clearly still very content with their success a few months prior. Submissions of new ideas for the program have been taken in the meantime. June 2020: Improved livestock management systems, including agropastoral production systems and others; and Socioeconomic and food security dimensions of climate change in the agricultural sector. Further submissions processes will be held on each of these items; reports from each workshop will be considered at future sessions; and more submissions for future topics to consider will be received in 2020, ensuring discussions on this important topic will move forward. Thanks to disaster-relief funding, financial response to extreme events occurs often. There is, however, very little funding for relief of slow-onset events. While there is some funding for adaptation measures, there is basically none for loss and damage circumstances which are regarded as being ‘beyond adaptive capacity’ – e.g., losses suffered by a local village becoming slowly inundated by sea level rise. New proposals for innovative finance are coming forward, including several countries now coming together to propose a climate damages tax on fossil fuel production. In terms of land use, drought and degradation are major causes of loss for agricultural businesses, communities, indigenous peoples and forests. Nevertheless, loss and damage together with land use and forests does not attract the attention it deserves. For several years now, finance has been the major gap in loss and damage negotiations. During the Suva Expert Dialogue however, delegates should have heard the signal loud and clear that the UNFCCC needs to start taking finance for loss and damage seriously, and we now must wait to see this happen. The UNFCCC has been accounting for greenhouse gas emissions for many years, so it is clear what this involves. But one question circulating in the corridors was how the transparency system will capture broader environmental and social considerations. For example, how will countries monitor and report human rights? Gender? Rights of indigenous peoples? Ecosystems integrity? Negotiations on the Paris Agreement’s enhanced transparency framework – meant to improve accounting and accountability systems – are highly complicated and political. The current text being considered is the 68-page ‘Informal note by the co-facilitators’, a key component of the Paris Agreement Rule Book. Basically, countries are looking to institute a new system of measuring, monitoring, reporting and verifying different types of climate actions. The Co-Chairs produced a note just before the session, posing two fairly interesting questions: What is an accounting system for? And, what is the accounting system? Clearly the conversation is very broad, and the parties are a long way from coming to any concrete conclusions. Accounting for actions taken under Article 6 of the Paris Agreement. Bioenergy is also gaining attention. Demand growth for biofuel and bioenergy in the aviation, shipping, energy and transport sectors could drive deforestation to make way for more oil palm and other agriculture. The current accounting system is flawed in that it assumes bioenergy and biofuels are carbon neutral. Put crudely, increased crop growth is assumed to sequester the emissions generated by using biomass. This assumption has proven incorrect, with research showing that bioenergy does increase emissions, and this needs to be accounted for. The question remains: Are the emissions accounted for where crops are harvested, where biomass is burnt, or both? Many are hoping that this loophole will be closed in the new accounting rules. Significant progress is needed still in Bangkok. Read also Synthesis Bioenergy, Sustainability and Trade-offs: Can we Avoid Deforestation while Promoting Biofuels? Nationally determined contributions (NDCs) have become the cornerstone of Paris Agreement architecture. NDCs are reflected in documents submitted by each country on what they’re doing to address climate change. One goal for the Rule Book is to provide more clarity on what the NDC documents should include. This can help to compare actions between countries, though it must be kept in mind that some countries are more advanced and have greater capacities than others. Hence, the system needs to be differentiated and accommodate different national circumstances. The Paris Agreement’s Preamble addresses human rights and ecosystems integrity, and there are still concerns on how to incorporate these considerations into NDCs. Parties are working through many pages of ‘informal notes’ submissions before a negotiable text is put on the table. The Conference was disappointing to most, with final interventions making this abundantly clear. Parties are putting a lot of pressure on one another to ‘step up the pace’ and ‘shift gears’ as we move into the Bangkok meeting and COP24. One positive development was the recognition of a need for more harmonization of work streams, to better coordinate the many complex issues and politics at play. A one-day roundtable meeting will be held in Bangkok focusing on this. The Co-Chairs will prepare by 1 August, 2018, a document of ‘tools’ setting the basis of negotiations for Bangkok. These tools will act as negotiation aides to the parties on each of the issues and support Parties to understand the complexities at hand. Slow progress is not unusual, and exceptionally lengthy texts compiling all ideas are also par for the course. In the lead up to the Paris Agreement, text numbered hundreds of pages long before being reduced to the Agreement’s 27 pages. If significant progress on the Rule Book is not made in Bangkok, it would not be surprising if parties consider pushing back the deadline of completing the Rule Book this year – a possibility that has not yet been raised directly, but is surely on the minds of many.